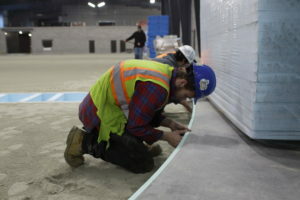 The customer, Edge Sports Group (ESG), is a private developer who partners with municipalities, schools and private rinks in Eastern Massachusetts. 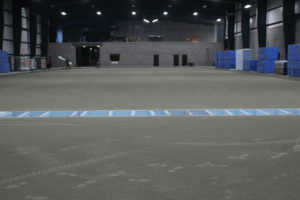 ESG was chosen to provide a 1 ½ sheet ice rink facility as well as an indoor turf field on Thayer Academy’s South Sports Complex in Braintree, MA. 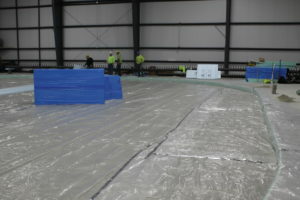 ESG recently completed a rink in Worcester, MA and has a rink underway in Wellesley, MA – both designed with an ammonia refrigeration plant. 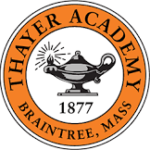 The Thayer Academy’s South Sports Complex project was initially quoted as an ammonia plant with an alternate design for ice3 Cube System to be coupled to the new HVAC system. 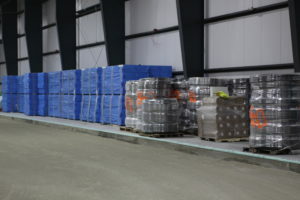 ESG, while open to new ideas, was also very cautious about whether an ice3 Cube System would be a good fit considering their successful track record with ammonia industrial installations. 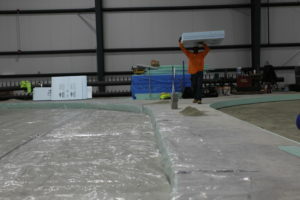 Edge Sports Group was diligent in their research and viewed other ice3 Cube System installations. 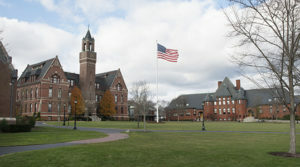 ESG eventually chose the Emerald Environmental Technologies’ ice3 Cube System refrigeration system for Thayer Academy’s South Sports Complex installation. To remain cost competitive, while providing 125 Tons of Refrigeration, a five ice3 Cube pre-piped system was chosen using the new 2545 model ice3 Cube. The new 2545 model was chosen because of its higher capacity while in the same size Cube cabinet as the 2040 model. 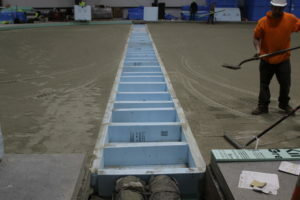 This allowed for a shared refrigeration room with water heaters, boilers, and fire protection equipment but eliminated the cost of segregated concrete block walls and doors associated with an isolated ammonia refrigeration plant. 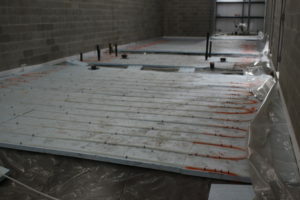 The 2545 model Cube was the best option for reclaiming heat and producing a small amount of air conditioning, as well as allowing room for future expansion if desired. 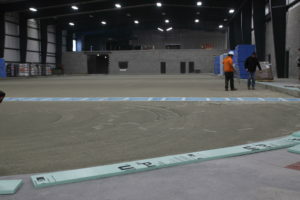 It was decided that the reclaimed heat sourced from the ice3 Cube’s operation would be allocated for many uses including radiant floor heat in the locker rooms and mechanical rooms, heating the snowmelt pit for rapid snow melt, and a fluid cooling tower basin. The 2545 model ice3 Cubes are also capable of supplying the Zamboni with preheat for the domestic water loop to reduce water heating energy. In addition, ventilation is designed as a two pipe reclaimed chill hot water system allowing for dehumidified locker rooms in the summer. Anyone who has been in a locker room in the summer can appreciate this added bonus! Construction schedules are always aggressive. Poor wet weather in the fall created site conditions that slowed job progress. The site slowdown did not impact the ice3 Cube pre-piped and pre-wired rack system assembly because we fabricate the Cube systems in our New Hampshire factory. The five ice3 Cube units are incorporated into a system of stands in-house where they are pre-piped and wired with control valves, pumps, piping headers, insulation and accessories. Before leaving the Emerald Environmental Technologies’ factory, each Cube is subjected to authentic below freezing glycol temperatures and operated to their design conditions on our test station. 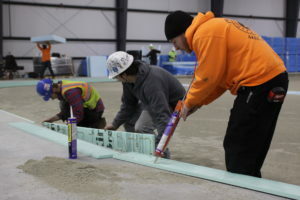 Control over our construction timing and quality without being subjected to onsite issues creates a tidy and timely plug-and-play installation that contractors appreciate. 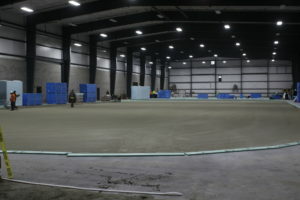 The five Cube racks were delivered and set into the mechanical room while interior construction work was still underway. The ice3 Cubes and stands are entirely wrapped to protect them from jobsite dirt and debris. When the interior work on the jobsite is complete, the ice3 Cube configuration will only need to be tied into the decoupler and warm system, completing the final assembly in less than a day. 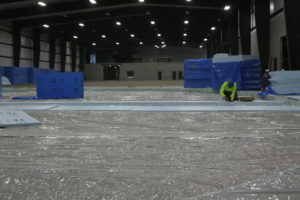 Edge Sports Group has two refrigeration plants being installed and coming online in two locations simultaneously (by two different refrigeration contractors): the ammonia plant in Wellesley, MA and the ice3 Cube System at Thayer’s South Complex. 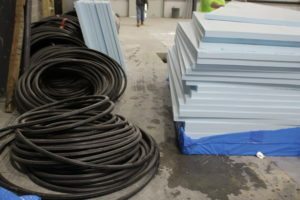 ESG is very interested in the comparisons in cost savings, efficiency and safety between the two refrigeration plants. Stay tuned for the outcome!